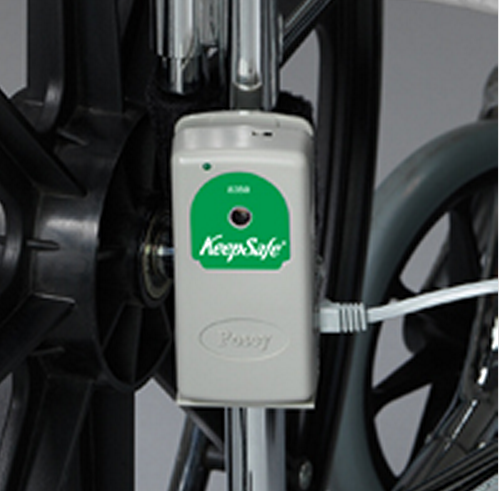 Posey KeepSafe MonitorAlarm is an electronic fall monitoring system designed to help patients prevent fall injuries where continuous surveillance of the patient is not possible. 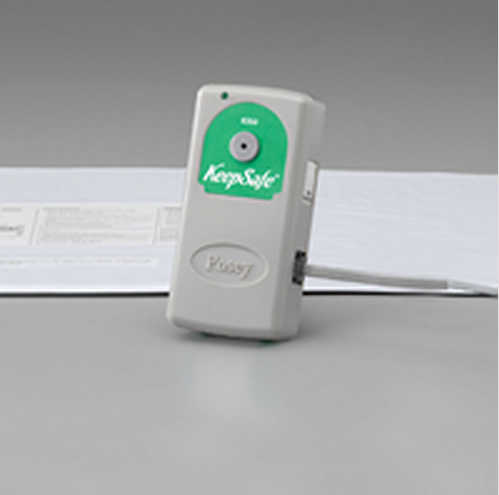 The KeepSafe alarm system is highly flexible with several optional alarm sensors such as room alarm sensor, wireless alarm sensor, toilet alarm sensor, bed alarm sensor, chair alarm sensor, and door alarm sensor. Each optional alarm sensor may also be purchased with the alarm unit forming a complete alarm system consisting of a KeepSafe alarm control unit, a sensor transmitter, saddle bracket, sound dampening plug and 9-volt battery. 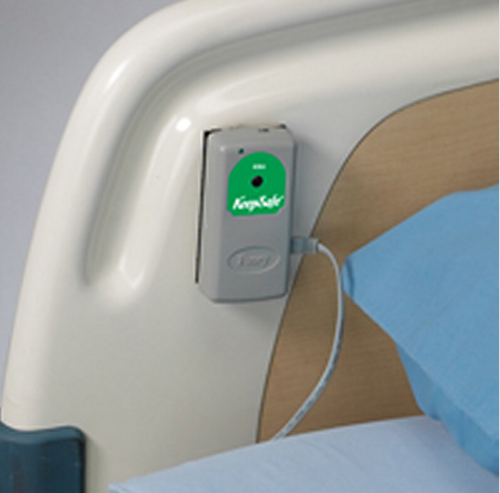 As weight is lifted off the sensor, as in an attempted bed or chair exit, the alarm is activated and a remote signal is sent to the alarm unit to alert the caregiver staff. 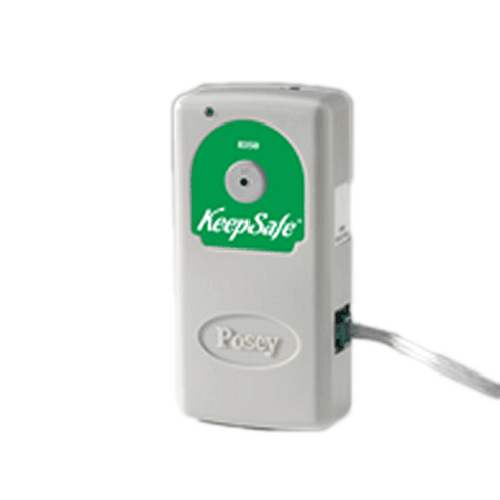 KeepSafe alarm has five tone options to allow caregivers to program a tone to identify a particular patient or area of the facility. The alarm volume can be decreased by inserting the dampening plug into a hole located on the face of the alarm unit. The dampening plug should not be used if maximum alarm volume is necessary. It is best to test the alarm to ensure that the alarm volume can be heard at the furthest distance possible in the facility before using the dampening plug. The alarm unit should never be placed closer than 2 feet from someones ear.